If you're nearing age 65 or have already reached that milestone, you've undoubtedly heard about Original Medicare and Medicare Advantage. Even if you choose Medicare Advantage, remember you'll need to first enroll in Original Medicare (Medicare Parts A and B). To decide which option is best for you, you'll need to consider your health care needs, budget, and personal preferences. Read on for a summary of facts that will help you weigh the pros and cons of each coverage approach. Original Medicare: Federal government's traditional no-frills fee-for-service plan. Medicare Advantage: Also known as Medicare Part C or MA plans, these are offered by private insurance companies and approved and partially funded by the federal government. Original Medicare: American citizens and permanent residents who are 65 years of age or older or who have collected disability benefits for 2 or more years. Note: Those diagnosed with amyotrophic lateral sclerosis (ALS) or end stage renal disease (ESRD) are exempt from the 2-year waiting period. Medicare Advantage: Most people who are enrolled in both Medicare Parts A and B. Original Medicare: Includes Medicare Part A (inpatient hospital coverage) and Part B (outpatient medical services). Medicare Advantage: The same inpatient and outpatient services as Original Medicare. In addition, plans often include Medicare Part D (also known as Medicare Advantage prescription drug plans); vision, hearing, and dental benefits; and health and wellness services. Original Medicare: For most people, there's no premium for Part A.1 You pay a Part B monthly premium, plus deductibles, copayments, and coinsurance (usually 20 percent of the Medicare-approved cost of the services covered by Part B). Medicare Advantage: You pay a Part B monthly premium, and your plan's premium, if it charges one. You'll also pay the plan's deductible, if applicable, and copays (a fixed dollar amount) or coinsurance (a percentage of the cost) for each office visit. Original Medicare: There is no limit on what you spend on health care. If you have a serious accident or illness, you'll continue to be responsible for a portion of the costs, no matter how expensive it gets. Plans must have an annual out-of-pocket limit, which protects you if you need expensive care. Once you reach that limit, the plan pays for all covered medical expenses for the rest of the calendar year. The limit does not apply to Part D (prescription drug) benefits and other non-CMS-covered expenses such as vision and hearing hardware and optional dental coverage. You may see any doctor in the United States who accepts Medicare. If you go to a doctor who doesn’t accept Medicare, you could pay more for services. No referrals are needed to see specialists. 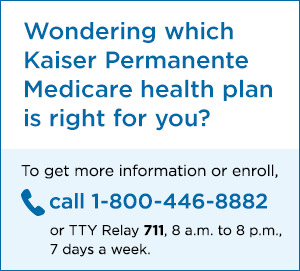 Most plans require you to visit doctors, hospitals, and other health care providers within the plan’s provider network. (It's one way they keep premiums reasonable.) If you get non-urgent or non-emergent care outside the network, you may be responsible for paying the entire bill. Referrals may be needed to see specialists. Original Medicare doesn't include prescription drug coverage, so you may want to buy a separate standalone Part D (prescription drug) plan if you take a lot of medications. When choosing a Part D plan, find out if the medications you take are available on the plan formulary, and how much they cost. You may want Medicare supplemental insurance (Medigap) to help pay out-of-pocket costs that Original Medicare doesn't cover. You'll need to coordinate with multiple insurers, in addition to the federal government. A 3-day hospital admission is required to qualify for skilled nursing facility coverage. Plans can combine health and drug coverage in one plan which usually includes additional benefits — vision, hearing, and dental benefits, and health and wellness services. For questions and claims, you deal with just one company. You'll want to find out if the medications you take are available on the plan formulary, and how much they cost. You can't add Medicare supplemental insurance (Medigap) to an MA plan. Most plans have dropped Medicare's requirement of a 3-day hospital admission to receive skilled nursing facility coverage. 1If you've had a job in the United States and paid Medicare taxes for about 10 years, you won't pay a premium for Part A coverage.